Remember the election? Seems like forever ago! 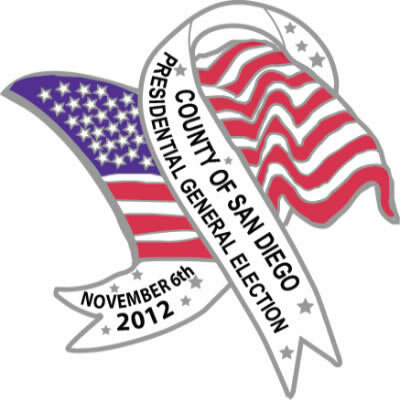 Well, the County has finally finished counting the votes, and the SDVote.com site has the final, official results! The San Dieguito school bond (Prop AA) did pass, but the Mira Costa and Del Mar bonds did not. Other results did not change with the final count. Good thing, because the City government officials had already been sworn in! The state results still aren't complete, but all votes must be counted by December 7, with the results certified by December 14. See the California Secretary of State site for complete details. One of my favorite holiday (and beyond!) 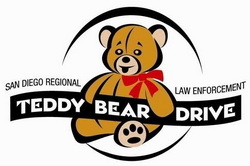 toy drives, the local Law Enforcement Teddy Bear Drive! This is a drive to collect stuffed animals for kids at Rady Children's Hospital. My kids have benefitted from this, and for a child, getting a stuffed animal after surgery is very comforting. The local Carmel Valley Police Station on El Camino Real will have a collection box at the front counter for new stuffed animals with tags still attached. Drop off on Mondays or Thursdays, 8am-4pm. The last day to give a bear is December 10th. For more information contact JST Officer Brigitta Belz (858) 523-7027, or see the SDPD Northwestern Division Facebook Page. Two people hit by cars last week, please be careful! We live in an area with very busy streets, with the traffic often causing people to try to "beat" the signal or drive faster that they otherwise might. Just last week, there were two incidents in Carmel Valley where people were hit by cars: In Torrey Hills, a man was killed when jaywalking across Carmel Mountain Road, and a nanny pushing a stroller was hit (minor injuries) crossing Carmel Creek Road near Piazza Carmel. As the community development increases (with the build-out of Pacific Highlands Ranch, additional development at the Del Mar Highlands Town Center, and the eventual construction of something at the One Paseo site), the traffic will only get worse. If you're driving or walking out there, please try to be careful! Read more about Two people hit by cars last week, please be careful! The San Diego Women's 1/2 Marathon is looking for volunteers. The event, to be held February 24, 2013, has lots of opportunities for volunteers, and with over 500 positions available, there is a spot for everyone, including teams, groups, corporate groups, or just friends and family. See a complete list of days, jobs and shifts, at the Women's 1/2 Marathon website. The San Diego Police Department's Northwestern Division (our local station) has a new Community Relations Officer, Natalie Hone, SDPD Northwestern Division, 12592 El Camino Real, San Diego, CA 92130. Her email is nhone@pd.sandiego.gov, and her phone numbers are: (d) 858-523-7031, or (f) 858-523-7023. Officer Hone will be maintaining the old email contact list (email her to be added), or you can now view the SDPD Northwestern Facebook page, or the new SDPD Northwestern Twitter feed. 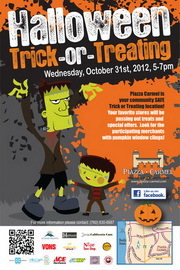 There will be Trick or treating at Piazza Carmel on Wednesday, October 31, 2012 from 5:00 to 7:00 pm. Stores will be passing out treats and special offers (see piazza-carmel.com). At the Town Center, the Trick or Treating is on Oct 31, from 4:00 to 6:00 pm, with live music by Left4Dead, in the lower plaza (see delmarhighlandstowncenter.com). Again, for your dogs, Dirty Dogs at the Torrey Hills Center (see torreyhillscenter.com) has a costume contests with categories for pups, kids and the whole family, 10/27 from 2-5pm. OK, it's a realtor event (hosted by Sampson California Realty), but if you're interested in Feng Shui, it might be fun. From the event email: This coming Tuesday October 23, 2012 from 5:30 to 7:30 PM, Cathleen McCandless will provide a STEP-BY-STEP, unique and practical approach to creating a home or office that will please your eye and inspire your mind and spirit. Cathleen has been recognized as one of the top FENG SHUI Experts in her field and is certain to delight. Cathleen has consulted with some of the countries largest corporate giants including: Mercedez Benz and BMW. Event is free; RSVP Required at 858.699.1145, or visit the SCR website at www.SCR-SanDiego.com. I see from the Carmel Valley News that Chevy's Fresh Mex is leaving the Flower Hill Mall on Via de la Valle (see the CVN Story, Chevys to close after 20 years), to be replaced by a Cucina Enoteca (a sister to Cucina Urbana, see www.cucinaenoteca.com). From the Cucina Enoteca site: The restaurant’s interior evokes a modern kitchen combined with the history and comfort of an old rustic country farmhouse. A touch of home, splash of bohemia and many objects new and old attract the eye. 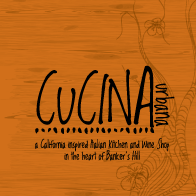 A focus on natural and reclaimed material is found throughout... Whimsical expressions of Italian classics coupled with the use of the freshest local produce, organic and sustainable products comprise a diverse menu of items mostly at or below $20. This sounds like a great replacement for the old Papachino's restaurant. It will be interesting to see what else is updated as the new Whole Foods opens early next year. Interested in the Los Peñasquitos Lagoon? The Torrey Pines Association and Los Peñasquitos Lagoon Foundation invite you to participate in a special symposium -- Los Peñasquitos Lagoon: Drawing on the Past to Plan the Future. Please join us for this first workshop to launch the planning process for restoration of the lagoon! October 20, 2012 from 9:00 am to 12:00 pm. See the Los Peñasquitos Lagoon Restoration Planning Workshop page for more details. Dr. Lori Ann Safar at Celebrity Smile Spa of Carmel Valley is working to spread awareness about oral cancer and the importance of early detection by holding a free Oral Cancer Screening Event. Open to the general public as well as existing patients. Free drinks and snacks will be served. Oct 17, 2012, 5:00pm-7:00pm. See: celebritysmilespa.com.